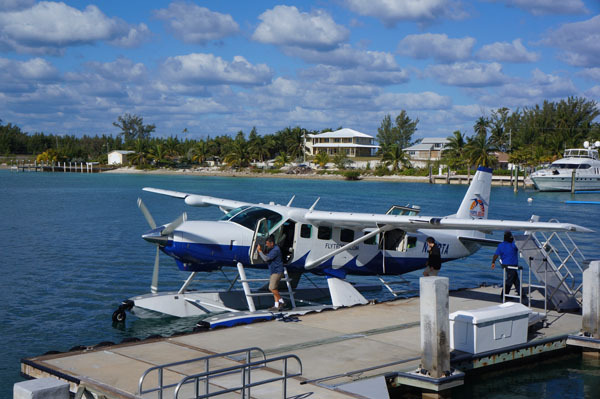 A mere 35 minute water plane ride from Miami, Bimini is an instant step into paradise. Right off the plane, the smell of the fresh Bahamas seawater and the sound of Caribbean beats playing on the white sand greets you as you become immersed in the island escape. Centered in the Gulf Stream, it’s a haven for marine animals and tropical plants — not to mention the amiable temperatures all year round. 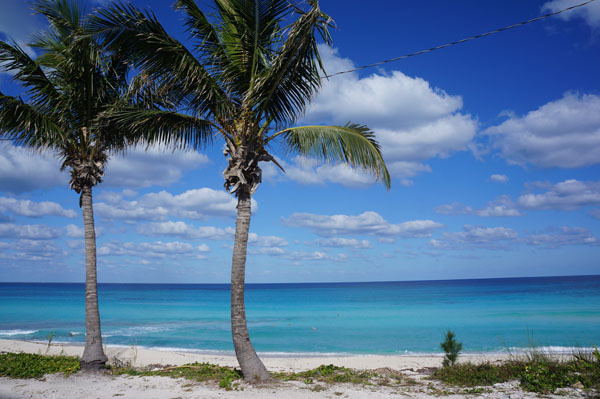 To welcome your visit is The Hilton Hotel, a new addition to the Resort World Bimini property. With 305 rooms, including 18 luxury suites, each room is modern and sophisticated, featuring sleek furnishings with marble bathrooms that create a luxurious and serene oasis. 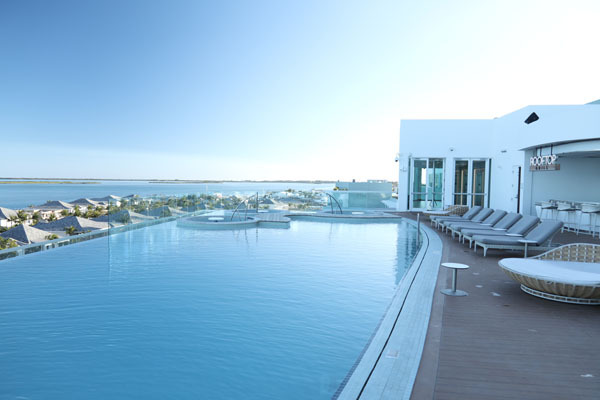 To top it all off, there is a rooftop infinity pool that overlooks the ocean giving you a first-class view of the beautiful, fiery sunsets. The resort also offers the world-class Serenity Spa for a must-have rejuvenating experience. Like its name suggests, each menu option gives the mind and body a chance to unwind and relax for the ultimate calming sensation. Blending essential ingredients with traditional and innovative methods, the spa offers everything from facials to massages and hot stone therapy. For an island that is only 7 miles long, there are unlimited excursions to experience. To get an overall glance of the town, start off with a bike tour that weaves into the charming roads of the cottages colored in pinks, yellows, oranges and reds. The vibrant energy of the environment also resonates in the villagers, many of whom are tour guides for the resort. To quench your thirst along the way, there are stands for coconut water — or if you’re feeling extra-adventurous, add some rum to spike your morning. For the literary enthusiasts, you won’t want to miss passing by the iconic Ernest Hemingway’s house. And of course, the ride isn’t complete without a final lunch stop at Edith’s Pizza. Whatever pizza you’ve had in the past, you can be sure that this place will make you forget about it. The conch pizza with sweet Bimini-style dough will have you coming back again and again. After an adventure on land, experience the water excursions- heaven for watersports lovers. The reef off the island is perfect for fishing with countless schools of fish swarming around. Even if you are not an avid fisher, the tranquility of the blue ocean and the clear skies is an unforgettable moment to experience. The underwater world of Bimini is incredibly rich and full of history, including the mystical S.S. Sapona Shipwreck, an iconic landmark that wrecked over 100 years ago. The snorkeling excursion also brings you to Lost City of Atlantis. If you’re lucky, you might even see a shark or two passing by — and if you’re brave enough, you can pet a stingray or two. Just in case seeing all the fish makes you hungry for some freshly-made raw entrees, the resort is prepared with The Sushi Bar — the only sushi spot in North Bimini with a vast selection of rolls, nigiri and sashimi. The menu is curated by Chef Hung Huynh, winner of Bravo’s “Top Chef” season three. And if you’re still up for adventure after dinner, the casino at the resort is available to entertain you all night. Or perhaps you’ll want to just sit back at the pool and soak up the moment as much as you can before you return back to your world. Whatever you choose to do, don’t forget — paradise is never too far away.